Support LinkSM is a new online hub that gives you tools and resources to make an informed decision about deep brain stimulation (DBS) as a treatment option. It consists of six tools aimed at helping anyone considering Parkinson’s DBS therapy. Support LinkSM provides comprehensive, professional information on DBS therapy. It can help you to better understand the benefits and risks of the therapy, and when to consider it. In this animated introduction to the basics of DBS, ‘Emily ‘shares her experience of the procedure and how she felt about it. Shortly you will also have the opportunity to attend live webinars where experts explain DBS therapy in details. If you aren’t getting the symptom relief you need from medication, the online physician directory helps you find a movement disorder neurologist or an expert DBS centre near you. Are you considering DBS therapy but don’t know if you are a good candidate? The DBS referral adviser tool is an online questionnaire that will make it easy to decide if DBS is a therapy you may want to discuss with your doctor. It will also help you to get ready for your next doctor’s appointment. Your answers to the simple questionnaire – which you can complete at home – generate a report that you can then print and take to your next appointment. The report will help your doctor to understand how Parkinson’s affects you and how your current treatment plan is working. This tool has been developed and validated by experts such as neurologists, people with Parkinson’s and their families, and nurses. Are you unsure how DBS therapy will affect you? With the ambassador programme, you can talk to someone who has experienced DBS therapy before. Ambassadors are volunteers – they are not medical experts or Medtronic employees. They are people who are happy to talk with you on the phone about their DBS experiences. You can also ask questions such as, “What was the procedure like?” and “How has it impacted on your daily life?” etc. This is a list of DBS-related events taking place in your country that may support you in your Parkinson’s journey. The EPDA owns the largest online library dedicated to Parkinson’s disease in Europe, packed with wide-ranging information on every aspect of the condition that will supplement your decision on DBS and any other Parkinson’s-related queries. Visit either the EPDA website or the Medtronic UK website to access all these tools and resources*. Local Parkinson’s associations and/or patient groups are encouraged to provide Support LinkSM to their members. The tools can be translated and added to your own website. Your regional Medtronic team is there to support you with IT implementation, translation as well as recruiting Ambassadors. * Support LinkSM is currently available in the UK, but will soon be coming to other European countries. Deep brain stimulation – one of Medtronic’s neuromodulation therapies – has been transforming the lives of people with movement disorders for over 25 years. Together with Professor Alim Louis Benabid and Professor Pierre Pollak, Medtronic pioneered DBS therapy and today over 125,000 people have benefited from this therapy worldwide. 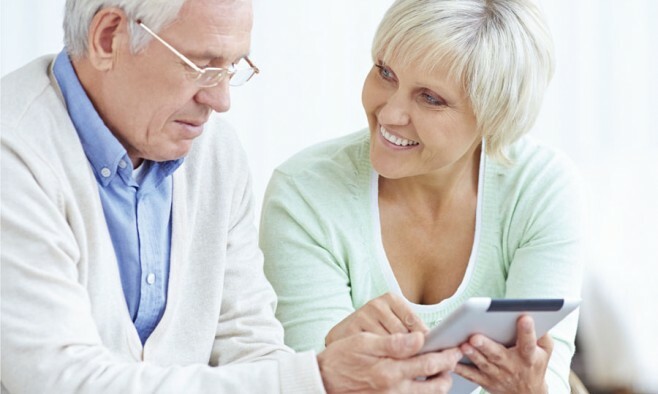 The information contained on Support LinkSM is designed to help people with Parkinson’s learn more about the therapy and to provide them with helpful information. It is meant for informational purposes only and is not intended to be a substitute for professional medical advice, diagnosis or treatment in any manner. This therapy may not work for everyone. Results may vary from patients to patients. Be sure to discuss questions specific to your health and treatments with a healthcare professional. For further information, please consult your healthcare professional who can explain the benefits & risks and important safety information.